Listen at 3:00 PM or 4:30 PM to hear the Split Second Artist of the Day. Then at 5:00 PM Brian Mo and Dave Conrad will play a split second of a song. 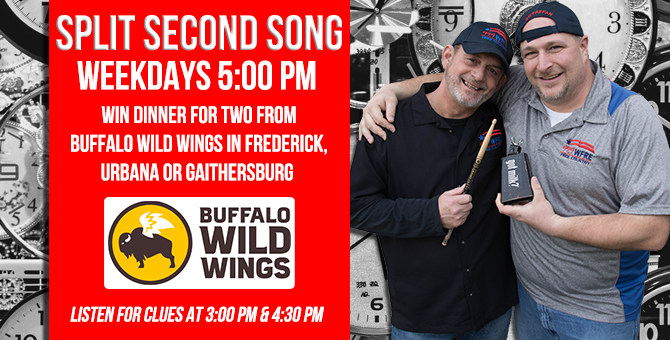 The first caller to guess the correct song title will win dinner for 2 from Buffalo Wild Wings in Frederick, Urbana or Gaithersburg.